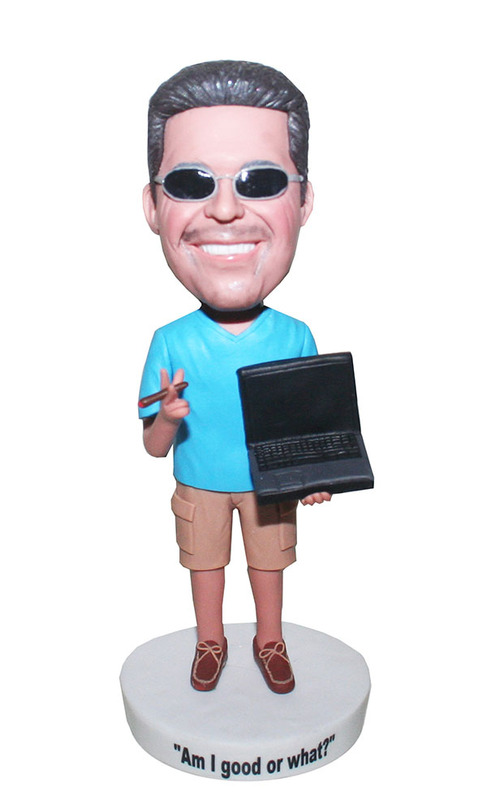 Wearing a sky blue t-shirt with tan shorts and brown close toe, this customized male bobblehead is a boss bobblehead doll and he is holding a notebook at his left hand and the other grabbing a cigarette. 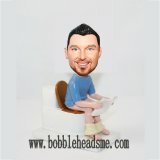 In addition to making bobbles as personal gifts, we also make them as corporate gifts, annual party gifts, sports awards and promotion gifts. 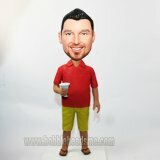 To our customers, every doll is unique and meaningful.